Bioabsorbable cardiac devices such as Abbott's Absorb bioresorbable vascular scaffold, currently in development, could prove to be quite profitable. It looks as though the second great stent debate has been settled--in the United States, at least. A recent global survey conducted by iData Research revealed that the majority of cardiologists in the United States, Europe, China, India, the Middle East, and Africa would use a bioabsorbable stent to treat coronary angioplasty. These data represent further evidence supporting claims this year that biodegradable polymers really are the future of stent design. "The survey provided dramatic differences between geographical regions in usage trends," says Dr. Kamran Zamanian, CEO of iData. "Cardiologists in the U.S. and Europe are more willing to use new technologies such as bifurcated and bioabsorbable stents, while Japanese and Latin American cardiologists are more resistant, citing the lack of long-term clinical data, early recoil, and technical challenges as drawbacks to these technologies." Well, it means that if you don't work at Abbott Labs, Biosensors International, or Reva Medical--cited in the survey as likely market leaders--and you manufacture stents, you better get on top of bioabsorbable stent development. Because, let's face it, you're falling behind in multiple key markets. If you are one of the three aforementioned companies, on the other hand: Congratulations! 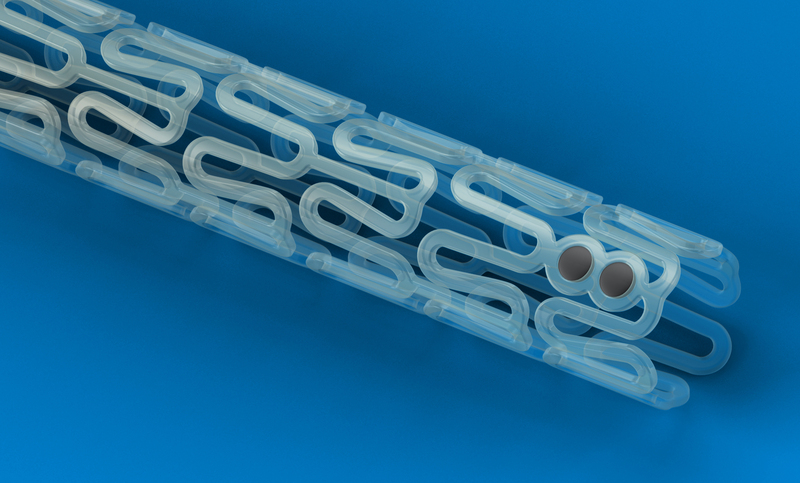 You're primed to reap the benefits of what iData predicts will be an almost $750 million market in the United States alone following a likely introduction of the bioabsorbable stent around 2013. "iData's accompanying market report states that the U.S. market for interventional cardiology is expected to reach almost $5 billion by 2017, with increasing drug-eluting stent sales and the emergence of bioabsorbable and bifurcated stents fueling market growth," according to a press release from the organization.